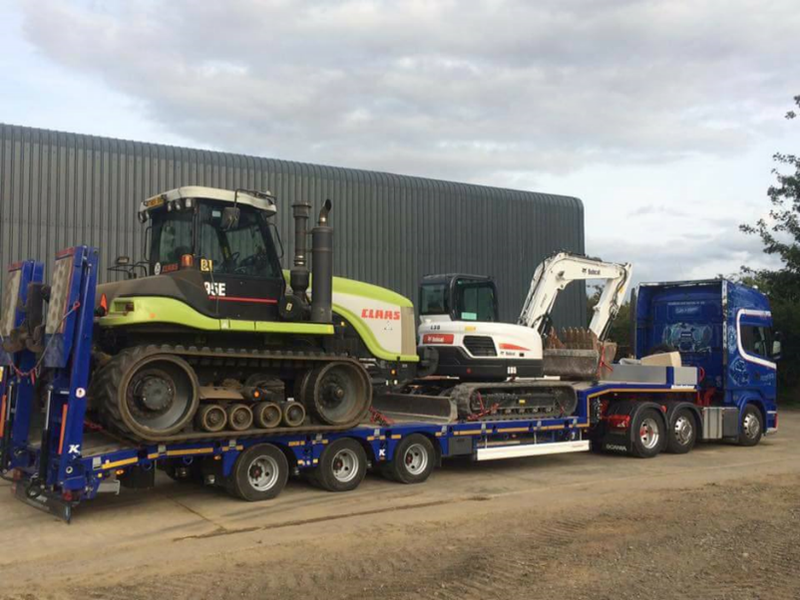 The new low loader hugely increases our outside work capacity, allowing us to transport even more heavy equipment to our customer jobs. 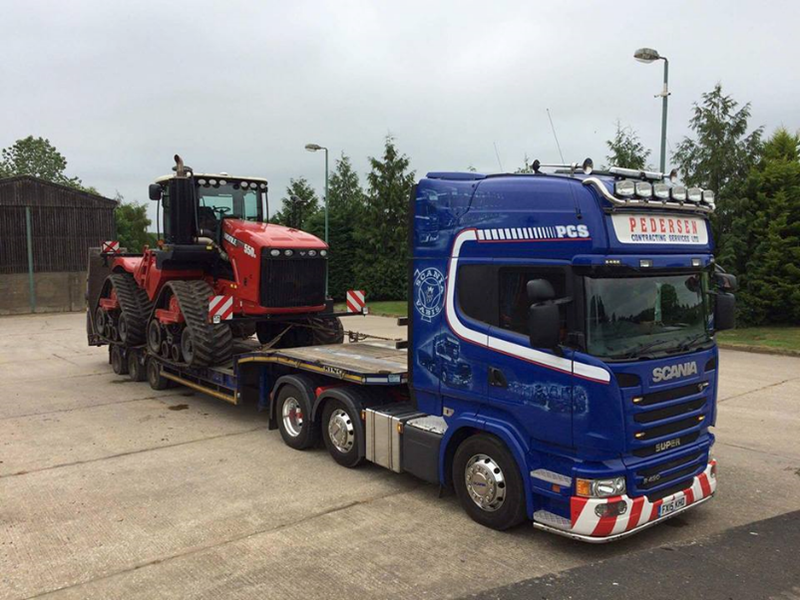 This increases the size of assignment we can take on and reduces the time needed to complete a job, bringing direct benefits to our customers As you can see from the pictures below, the low loader can accommodate a variety of heavy vehicles, including excavators, tractors and tracked haulage vehicles. The low loader is also available for hire at competitive rates. Please get in touch with one of our team for more details. German trailer manufacturer Kassbohrer are known throughout the world for their high quality trailers and commercial vehicles. Our new low loader certainly does not disappoint. The detachable Kassbohrer 3-axle low load trailer is 9 feet wide, making it able to accommodate most industrial and agricultural machines. The trailer comes with sliding outrigger brackets, hydraulic ramps and multiple lashing rings for complete transport security. If you would like to know more about our services, including poultry barn clearance, fertiliser sales and plant hire, please call us on 01526 353978.